We can help with pre-listing, pre-purchase, and for sale by owner (FSBO) house valuation. Today’s real estate market can be challenging. Whether it’s someone selling a property on their own or a seasoned realtor trying to establish a fair list price, it’s often difficult to sift through all of the market data to determine a true house valuation for a home. So it’s common for homeowners and realtors to rely on appraisers for assistance when establishing a list price for the sale of their home. 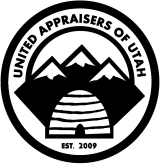 That’s where Aspen Appraisal Group (AAG) comes in. Helps instill confidence in potential buyers with written proof of the home’s value. Following FHA guidelines highlights upfront any obvious repair problems, which helps eliminate last-minute repair hassles that might delay closing. Decreases the chance of a sale falling through due to unforeseen problems. Keep in mind that overpriced homes attract far fewer buyers, which means fewer or possibly no offers, which leads to a waste of valuable time, money, and efforts. Conversely, an underpriced home can result in a lower selling price, which can leave substantial money on the table. Getting a pre-listing appraisal will help a homeowner or realtor determine an accurate list price for the property, as well as maximize the chances of selling quickly for top dollar. In addition, at Aspen Appraisal Group, we can help determine what, if any, improvements would be the most cost effective in adding additional value to the home. A full appraisal may or may not be needed depending on the circumstances surrounding the sale. Often, a more limited valuation or market analysis report is entirely appropriate, whereas other times a full interior and exterior valuation according to FHA guidelines may be necessary. Call today with any questions you might have or schedule an appointment. You can also receive a free quote by clicking here. If you aren’t sold yet, see what others are saying about Aspen Appraisal Group by clicking here.